At IntelliFour we have a fine-tuned process framework to custom-build application that are efficiently designed to fit your entire business requirements. With our proven expertise, we create robust and flexible applications that are rapidly developed, feature-rich, and scalable that integrate seamlessly with third party applications. Whether you are a service provider delivering new and innovative applications to consumers and businesses, a government organization responding to mission critical needs, or a business enterprise delivering real-time information to your workforce, our services can help you. Business scenarios are never identical, and so a solution that works for others may not work as effectively for your business. Instead of changing the business practices that are already streamlined, it makes more sense to custom-build the software application to suit your business. IntelliFour strives to provide you with customized application development and software solutions that will help you to continuously improve your information technology-based business solutions. As technologies become more complex, meeting rising expectations is not as simple as adding tools or upgrading your framework. You need expert advice from an organization who takes the time to understand both your technology needs and business requirements. You need a comprehensive plan for operationalizing your services that incorporates technology architecture and business operations to optimize performance and maximize value to your business. IntelliFour, with its full-fledged development centers extends its expertise to address varied needs of customized development. With economical and cost effective on-site and off-site pricing options, our solutions are available on demand. Due to ever changing nature of global business, organizations face challenges in keeping their enterprise applications up to date and extend value of their investment. This challenge is further more compounded due to rapid revolution in technologies and user preference. Requirement of keeping pace with the market and fulfilling additional requirements demands need for effective assistance in product development and re-engineering space. Based on our experience in building enterprise grade applications from scratch and understanding of new trends/technologies, IntelliFour is well positioned to be an effective partner for global firms in their efforts of keeping current enterprise applications to remain competent in the market. 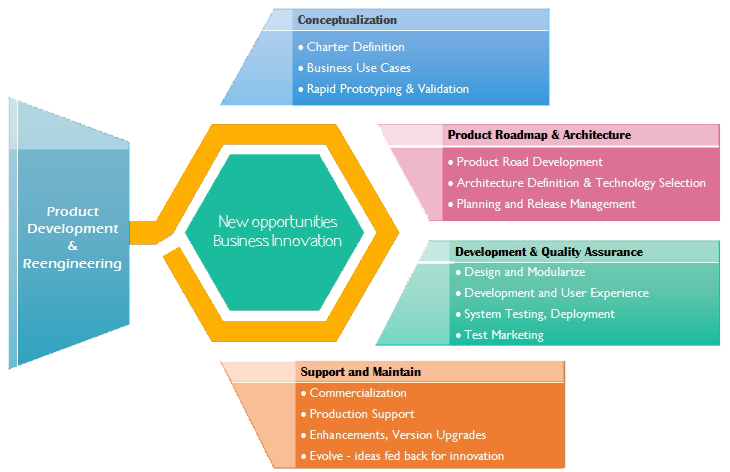 New product development assistance - coding, testing . 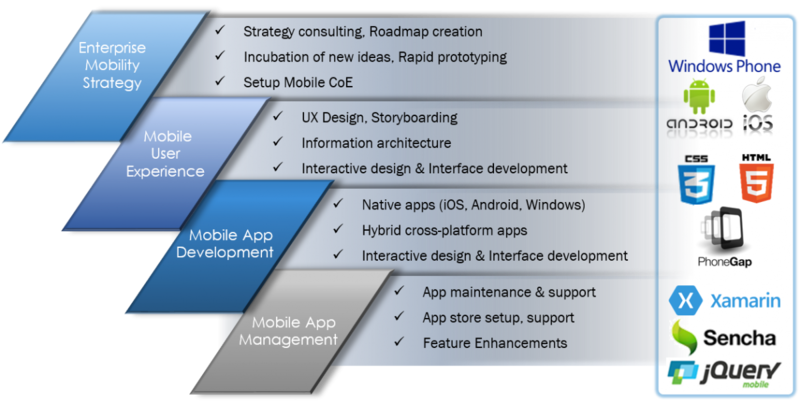 Due to transformational shift towards mobile computing, web application development is also evolving at rapid rate. Over the years one can see fundamental changes in the way web applications are designed and IntelliFour is at the forefront of using these changes to build next-generation enterprise grade web applications. IntelliFour creates solutions for web applications with a focus to enhance end user experience. Our specialized web applications are best placed to help global companies to build strong relationships with their customers. The explosion of mobile devices and related technologies has forced global organizations to change their business practices and interaction with their stakeholders. Along with unlimited possibilities, mobile applications also bring new challenges. Global companies are dedicating major part of their IT budgets to equip themselves to take advantage of this resolution. We at IntelliFour bring extensive experience in building enterprise grade mobile applications across multiple platforms like iOS, Android, Windows etc., along with hybrid application development. IntelliFour understands your specific business requirements and helps you to implement a custom designed, built-to-suit solution. We have built numerous apps, most of which have been customer built apps.